Vijethua Mahaveeran situated in Tehsil Kadipur is a well known religious temple.Bijethua Mahavir temple is situated in district Sultanpur, Uttar Pradesh. It is a very famous temple in Surapur-Sultanpur. Many people visit here on Tuesday & Saturday & They enjoy here after a visit to Hanuman Mandir. This place has its own story in Ramayana . At this place, Lord Hanuman defeated Kaalnemi and taken rest here when he was going to bring Sanjeevani for Lord Lakshman, who was in the unconscious that time. Lord Hanuman took a bath in Makari Kund which is also available at the side of Bijethua Temple. Ravana sends to Kaalnemi to this place to distract Lord Hanuman but while taking a bath in Makari Kund, a spider told him that the Saint who is there was a demon. Millions of people visit this place on Tuesday and Saturday to worship here for Lord Hanuman. This temple has its own record of having the largest number of bells in any temple. 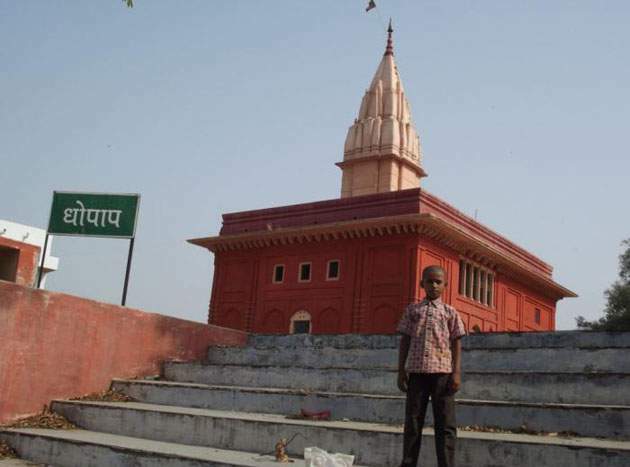 Dhopap temple is located in tehsil Lambhua.This place is located on the right bank of River Gomti on Sultanpur-Jaunpur road (NH-56), about 32 km south east of Sultanpur city & 85 km from Ayodhya, 8 km from Lohramau, 8 km from Kadipur. According to Vishnu Puran, Gomti was known in this tract as Dhutopapa, which reaches Dhopap from the east and after forming a loop near this place it takes sharp turn to the south east. Ghat known as Dhopap Ghat has been constructed, where people follow the example of Rama in washing away their sins in the river. 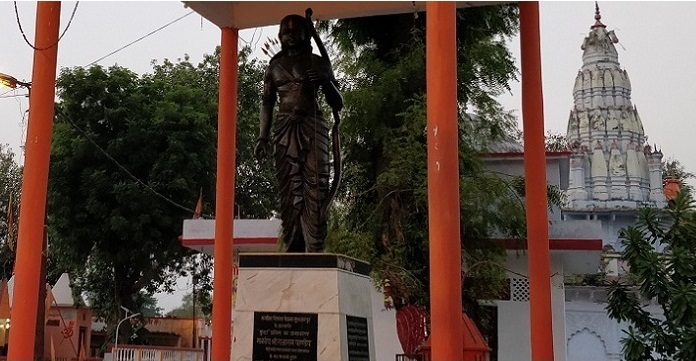 The story goes that Lord Rama obtained here absolution for the sin of killing the demon King Ravan, who was of Brahmin caste, while returning from Sri Lanka by taking a dip in the river on the advice of Maharshi Vashistha. People believe that one who visits the place on the day of Dushehra can wash their sins in the Gomti River. There is a large temple of Lord Ram here which is visited by a large number of devotees. Bathing fair (Jyestha snan mela) is held here on the 10th day of Jyestha month, on Ganga Dushehra & on Chaitra Ramnavami. A Ram temple is located at the Ghat which opens from Sunrise-Sunset. 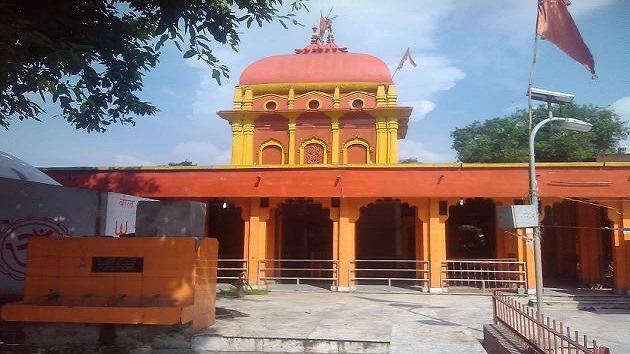 Lohramau Devi Temple is around 8-10 km from Sultanpur city. 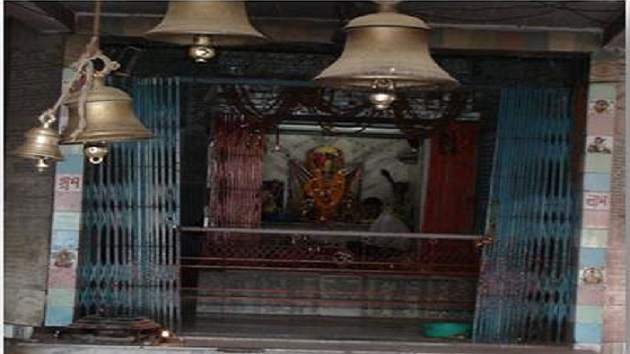 It is an ancient temple where people regularily visit for worship.During Navratri people in very large number visit the temple and offer nariyal,chunari etc. to please Goddes Durga. It is situated in the city of Sultanpur on the Gomti River. People come to Bath in the Gomti river at Chait Ramnavmi, Madhav Amavasya and Kartik Purnima, in this huge number. According to available records, Bhagwati Sita had bath here with Lord Shri Ram while on the way to exile. Parijaat Vriksh, Jila Uddyog Kendra campus ,PWD road is situated in Civil lines area. 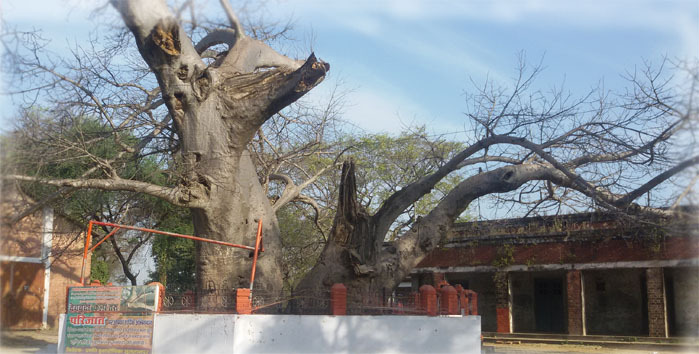 It is a very old tree and fulfills the wishes of people who visit at this place and pray for that. Here, regular offerings are made by people having a lot of faith in this parijaat tree.